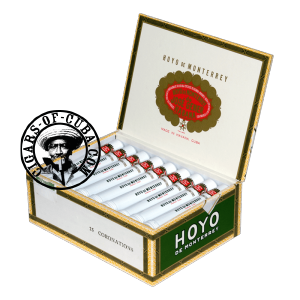 A very mild Hoyo cigar presented in Aluminum Tubes. A good start for a morning or an easy going afternoon cigar when you want to relax. Cubans at their lightest, but very tasty. Great looking cigar in its Tube. Perfect smoke for a warm afternoon. Mild tobacco flavor with notes of light leather and cocoa. Due to its lightness, the Coronation can be smoked to the very end.